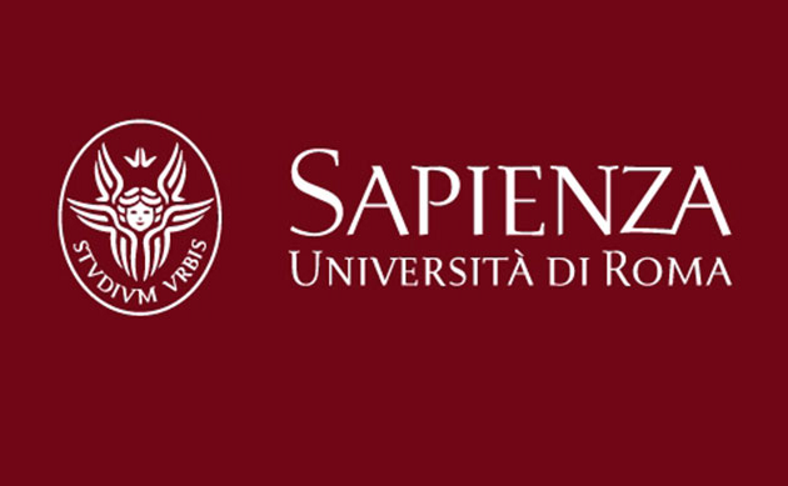 What follows is a Google Translation of an announcement for a day of talks, "L’enigma della Sindone" to be held at the University of Rome on October 30, 2014. This is being sponsored by the Chemistry Department. Note carefully the objective of this event. Note, too, some of the names familiar to readers of this blog, like Luigi Garlaschielli, Paolo Di Lazzaro and Andrea Nicolotti, people with very different takes on the shroud. The event takes place before the new Exposition of the Shroud in 2015 and soon after the meeting of Bari and St. Louis dedicated to it: a look at the present thinking of the future steps. Discuss the different aspects that the Shroud takes the observer assigned and not assigned. Analytically examine how science and research have addressed the problem. Evaluate the reflections cultural, religious, historical problem. The event is open to all with free admission. Participation in the buffet and the purchase of the DVD with the recording of the event is € 25.00. Reservations must be sent to the email luigi.campanella@uniroma1.it(link sends e-mail) by Saturday, October 25, 2014. The conference will be video recorded. The Shroud and the problem of "reproduction"
Open round table with four speakers: What stimuli and what prospects towards the solution of a historic dilemma. The panel discussion will be introduced by four short presentations of the speakers at the preliminary discussion. Applications to be submitted must be made ​​in writing before the start of the afternoon session. Each questionante has 3 minutes to explain the reasons for his request. Nice to see that Professor Luigi Garlaschelli’s paper is entitled “The Shroud and the problem of ‘Reproduction'”. I am very curious to know something about the state of the research conducted by Professor Campanella. That Chemistry Professor had announced that it has developed new methods for dating artifacts cellulose (wood, paper, vegetable textile fibers). Unfortunately there has been no recent news about this area. In my opinion we need to know at least something about what it will mean Professor Campanella. No one knows the past words spoken in the past by Prof. Campanella? There is no registration or a summary ? Rømer’s determination of the speed of light was the demonstration in 1676 that light has a finite speed! Where are our estimates for the phenomenon of “Resurrection”? Piero, good suggestion, I had raised the issue from the point of view of biblical studies and therefore theology, leaving the rest to scientists. (History of Science can help us). a propagation of light “within an instant” : a very short moment? in Roemer et la vitesse de la Lumière, Paris, Vrin. Creativity and Technology in Experimentation. by polymerization of glucose residues using beta-glycosidic bonds. the fundamental structural unit in plant cell walls. using hydrogen bonding. Then see also the question of “Hydrogen bonding plane”. High-resolution microscopy provided evidence for the presence of single crystal microfibrils. such as stiffness and tensile strength. The axial modulus of crystalline cellulose is near 150 GPa which is greater than Kevlar (130 GPa). morphology of ancient fibrils is different with respect modern fibrils. The mechanical properties of CNC (and, for example, mica) are known to be anisotropic. with respect the untreated linen material. Also AFM 3P bending tests on fibrils can solve in part our burning thirst of knowledge. The speed of light is utterly irrelevant to the study of the image image formation of the Shroud. If it is authentic, it happened in a dark, sealed tomb, in the middle of the night. If the body began to emit light, it was because of a miracle, during which God could have made the speed of light any value he wished, or indeed, instantaneous. That’s miracles for you. What might be of interest is an accurate measurement. Who can do these jobs ? Both AFM and TEM can achieve nanometer resolution and are therefore effective for imaging cellulose nanocrystals. What we have to see is the difference (behavior) for ancient and modern linen fibrils. Glad to see that Hugh is following my lead.